Trials are conducted in amended beds. Prior to planting, beds are fertilized with 10-10-10 granular fertilizer and tilled. 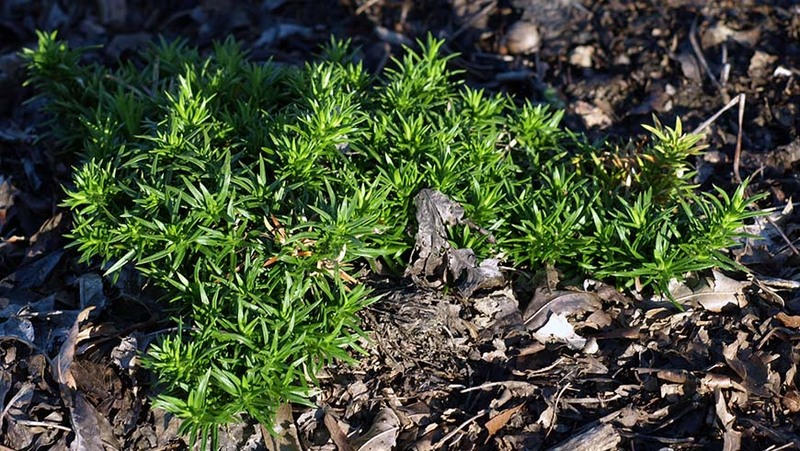 All plant material is mulched with composted leaf mulch to a 2"–3" depth after planting. 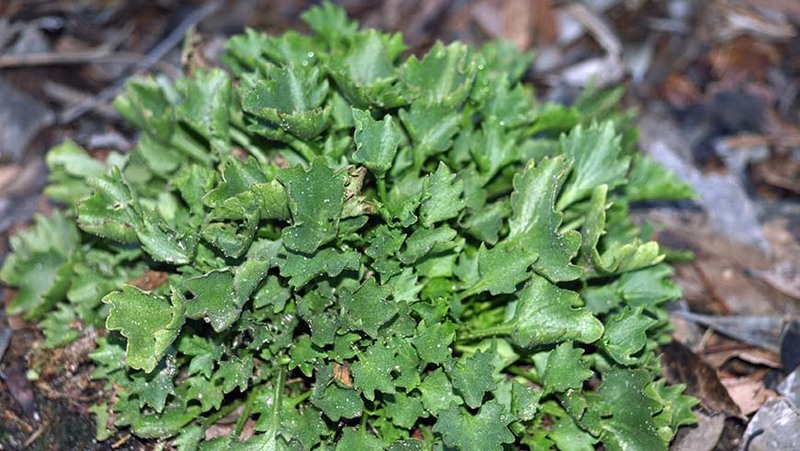 Pre-emergent herbicides are used at the initial planting and repeated each subsequent spring/summer season. Hand weeding is done at all other times. Later in the season, a post-emergent herbicide application along the edge of the beds was done on an as needed basis. An in-ground irrigation system delivers 1"–1.5" of water to the beds each week. Plant height and width measurements (recorded in inches) are taken during the growing season. 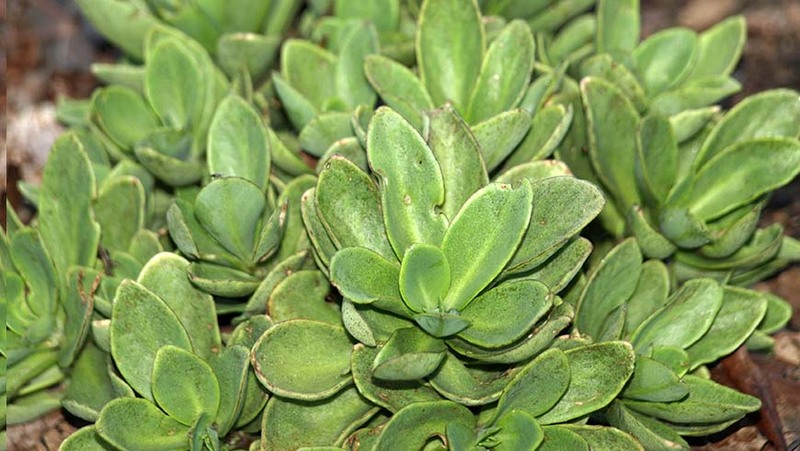 Data was collected from a representative plant, not the largest or the smallest but an average plant. Dormant plants were cut back in the fall/early winter to clean up the area and reduce overwintering habitat for insects and diseases. 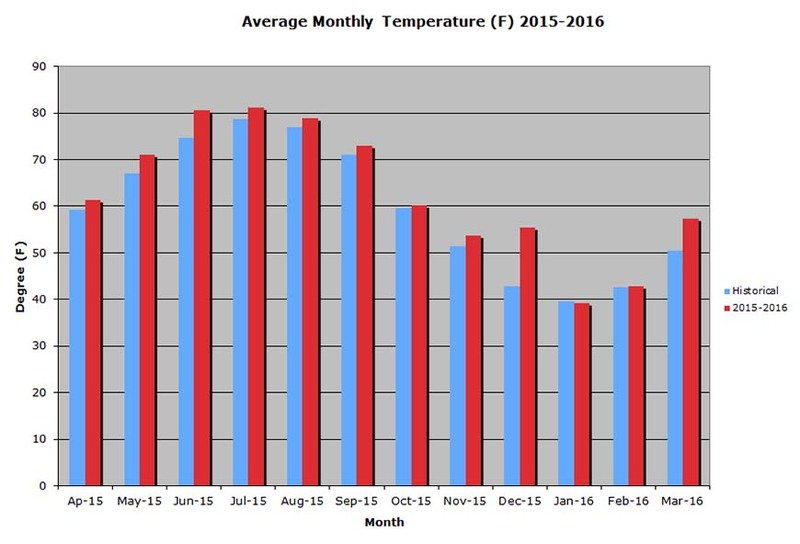 Cool spring temperatures (2015) led to slightly warmer than normal summer temperatures. In June, we experienced a 16-day period of temperatures at 95°F or above. The hottest temperature (102°F) occurred on June 16. The total number of days at or above 90 was 58, roughly 38% of our growing period. It was very humid, according to the meteorologists, the most humid summer in 20 years. The heaviest rainfall, which was 2.0", occurred on June 19. Rain totals for the summer season exceeded the norm by 3.65". The winter season (2015–2016) was hard on the plants. In October and November, the temperatures were slightly warmer than normal but December was downright warm. The average daily temperatures during December were 12° higher than our normal (55.4°F vs. 42.8°F). On November 22, the first freezing event occurred, with a low temperature of 26°F. Our cold period began in January. Our average night temperature for December was on par with the daytime highs of January and February. 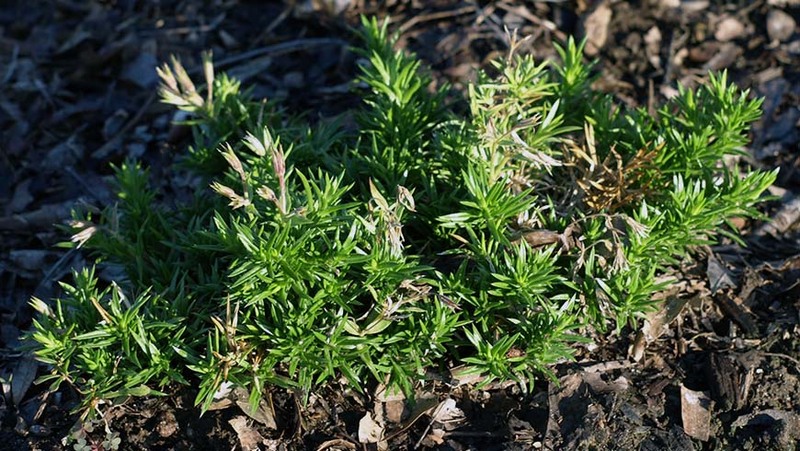 Even though the temperatures were in our normal range for both January and February, the plants were not well acclimated. Our coldest night, 15°F, was on February 14. We had relief in March with the return of warmer temperatures; the average daily temperature during March was 7°F higher than normal (57.3°F vs. 50.5°F). 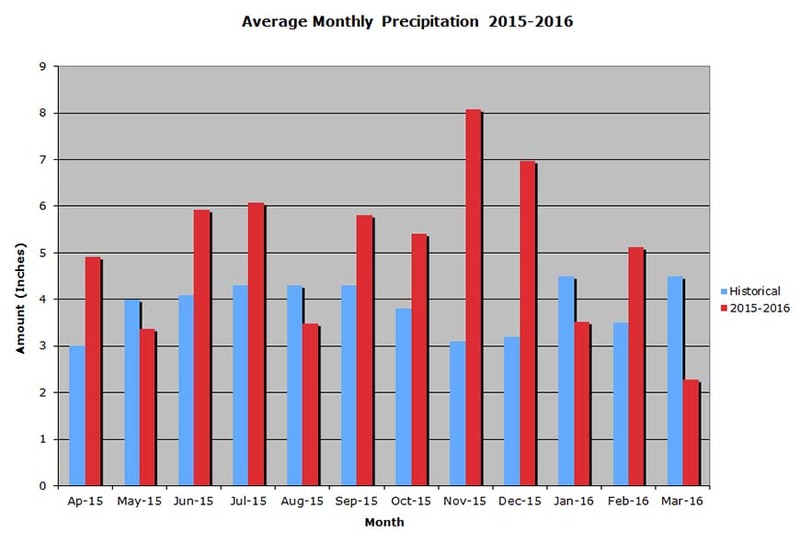 Our precipitation in October, November, December, and February greatly exceeded (10.4") our normal amounts. Both January and March were below average. We ended the season with an excess of 8.8". 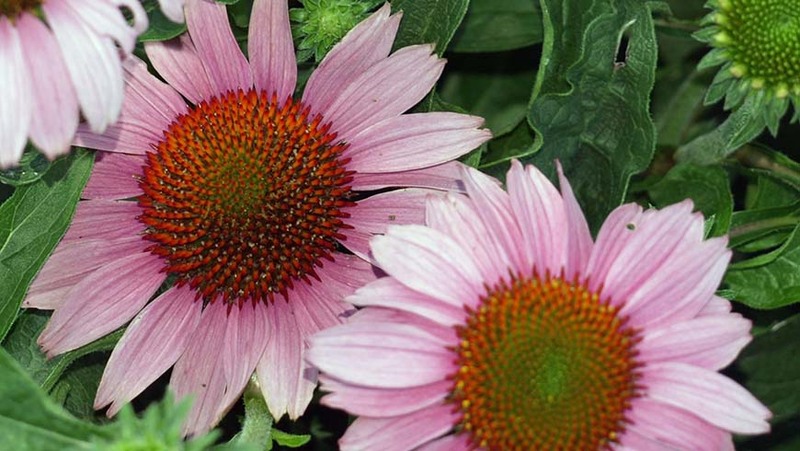 Low maintenance; compact clumps of green foliage; showy flower heads on sturdy stalks; flowers are a light pink color with dark pink centers; great flower power; flowered June through September. Never established; dead by first week in December. Never established; last plant died by February. Beautiful, dark blue bell-shaped flowers facing upward; petite mounding habit; flowered from June to early September. Died winter 2016. Upward facing bell-shaped flowers; flower color is a clear white; flowered from end of June to late September; compact mounding habit. Died winter 2016. 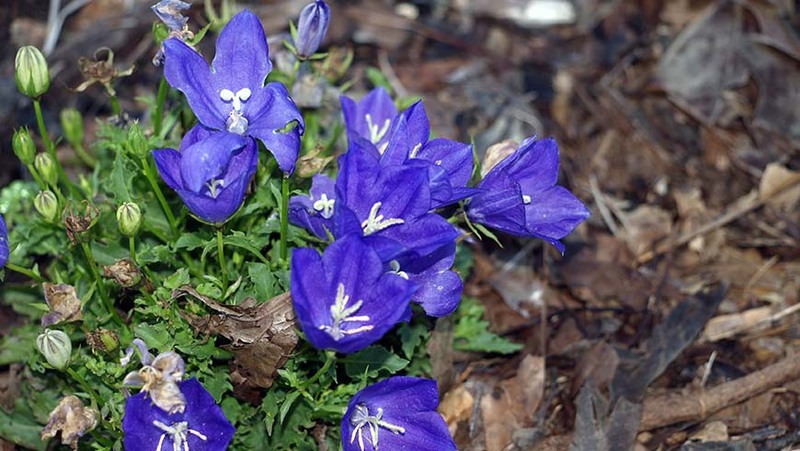 Compact plants with dainty, green leaves; deep blue bell-shaped flowers covered the plants; bloomed from August to mid-September. 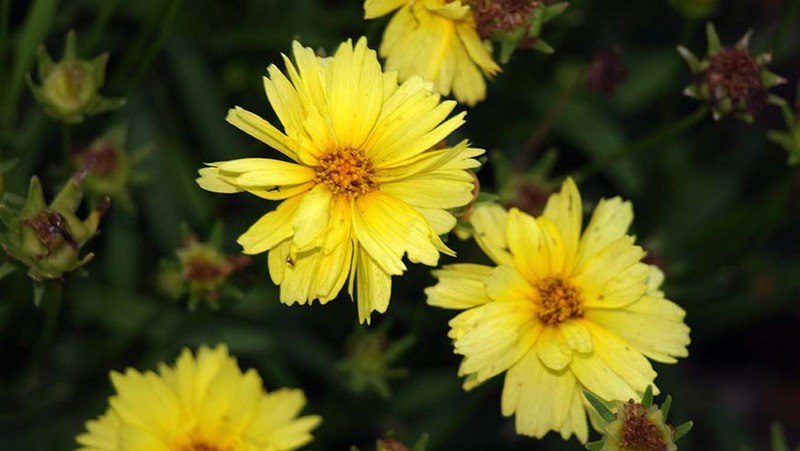 Flowers are a bright yellow color; flowered from June through the end of August; flowers covered plants. 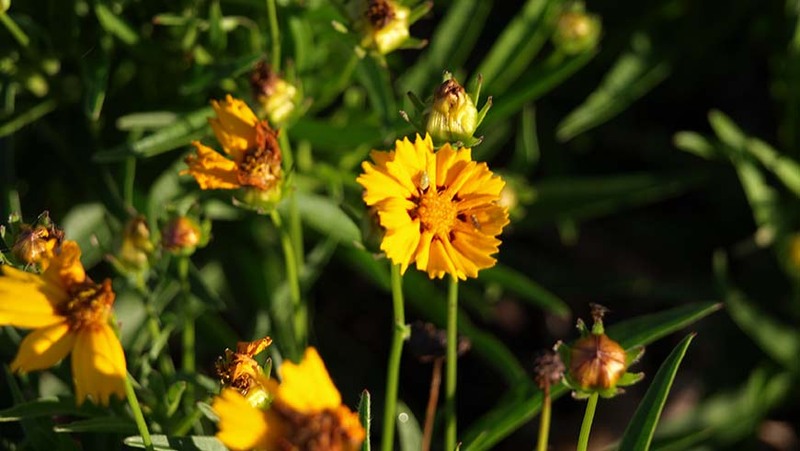 Plant forms a small mound; double flowers; flowers have frilly petals; flowers are a clear yellow color; bloomed from June to the end of November. 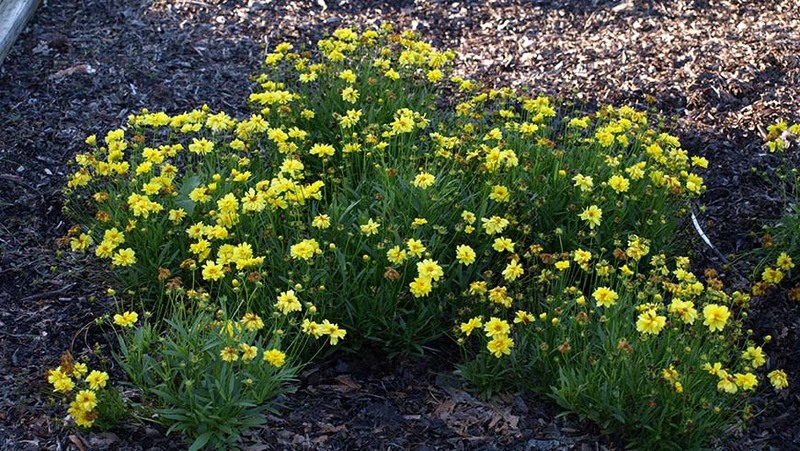 Plant forms a small mound; single flowers are a clear yellow color; bloomed from June to the end of October. 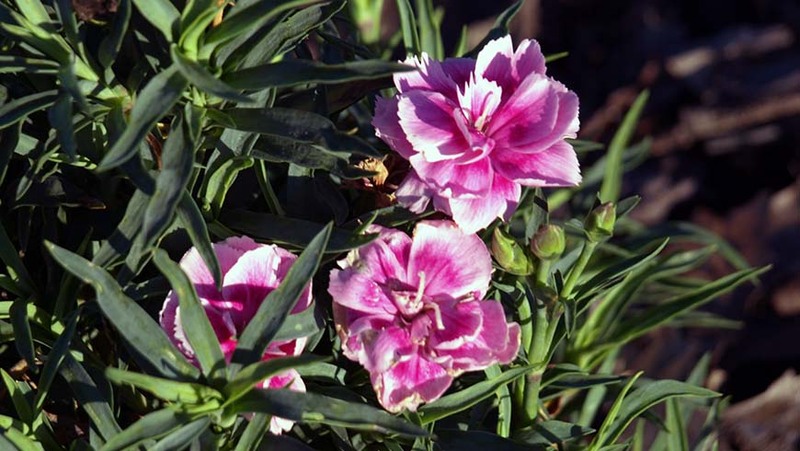 Attractive shape, nice and tidy; mounds of gray-green foliage with beautiful pink flowers that cover the plant; bloomed from June through late November. 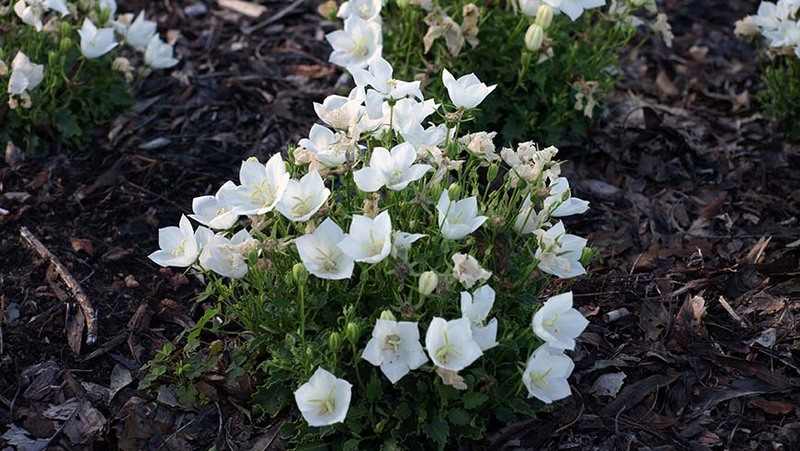 Very attractive, light creamy flower color; bloomed June through late November; mounding plant habit. Died winter 2016. 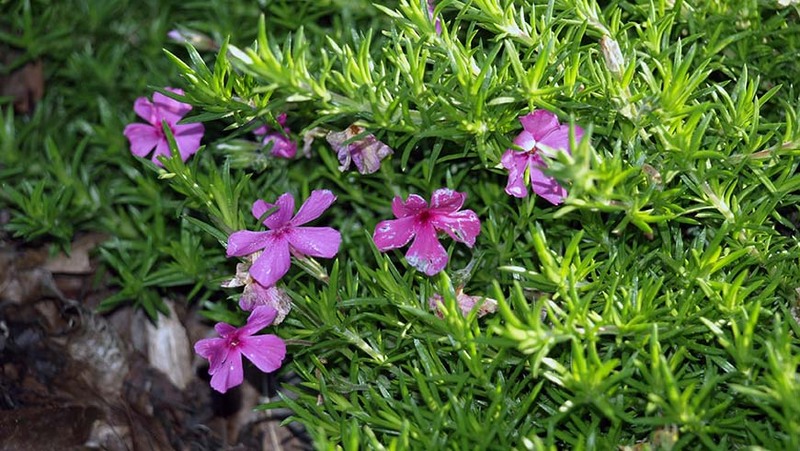 Mounding plant habit; fringed flowers are dark pink centers and light pink edges; flowered June through late November. Died winter 2016. Attractive soft orange flower color; bloomed June through late November; mounding plant habit. Died winter 2016. Interesting fringed flowers that are purple with white edge color; bloomed June through mid December; mounding plant habit. 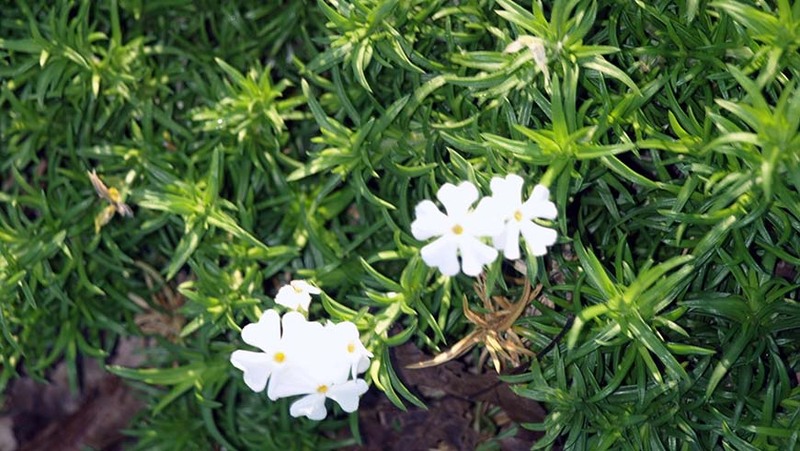 Mounding plant habit; attractive clear white flowers; bloomed June through mid December. 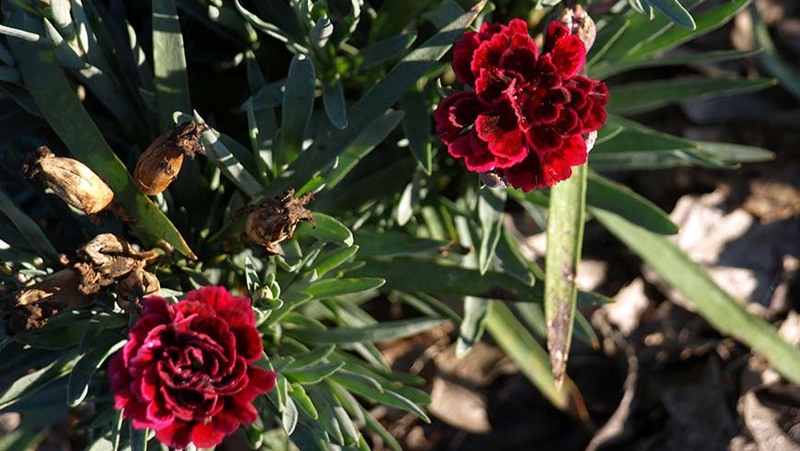 Attractive deep red with light red edge flowers; bloomed June through early November; mounding plant habit. Died winter 2016. 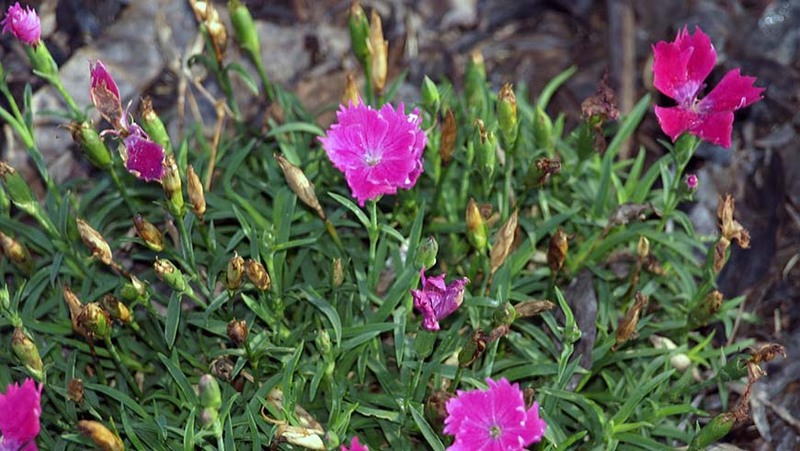 Compact plant habit; flowers are a rosy-pink color; bloomed early July to late October. One sole survivor; small clump covered in white flowers. 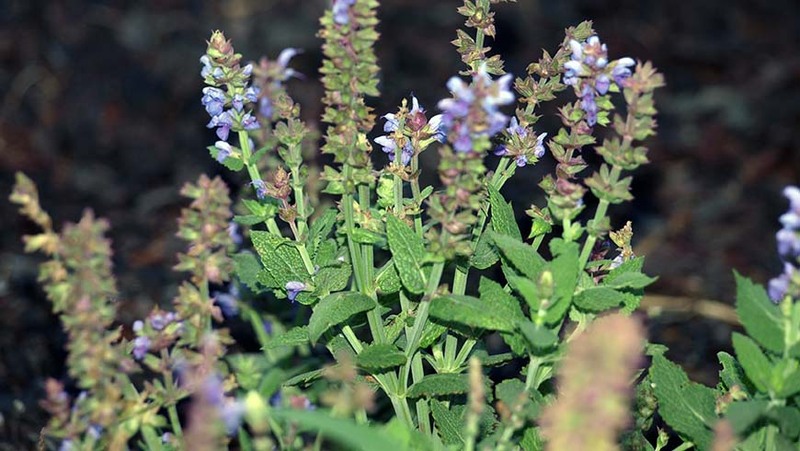 Compact plants with upright stems; foliage is a silvery-green color; fragrant, blue colored flowers; bloomed June through end of November. Died winter 2016. Never established; dead by late December. Never established; dead by January. 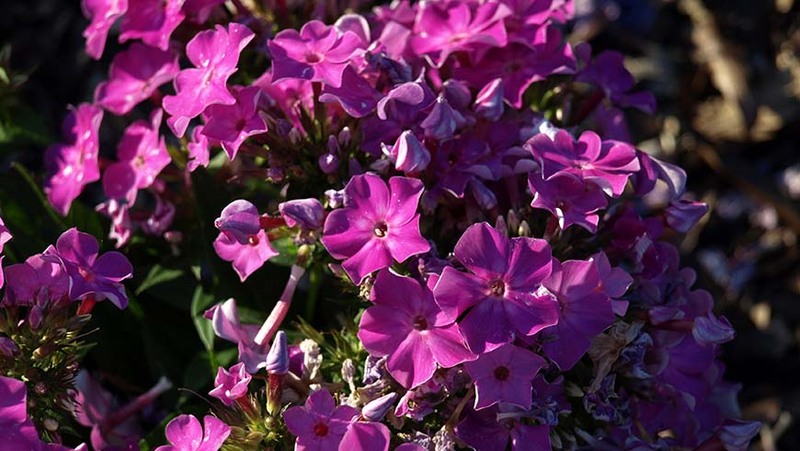 Low maintenance; tight compact clumps of green; great flower power; flower color is a pale pink with a dark purple center; bloomed June through late October. 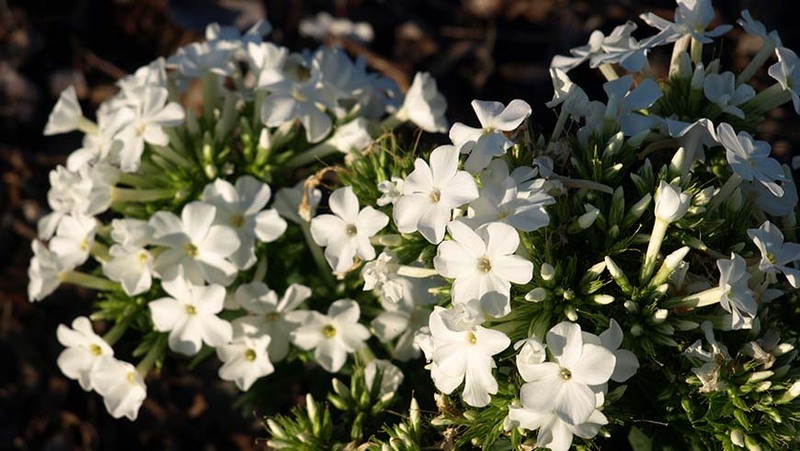 Low maintenance; tight compact clumps of green; great flower power; flower color is a pure, clean looking white; flowered June through September. 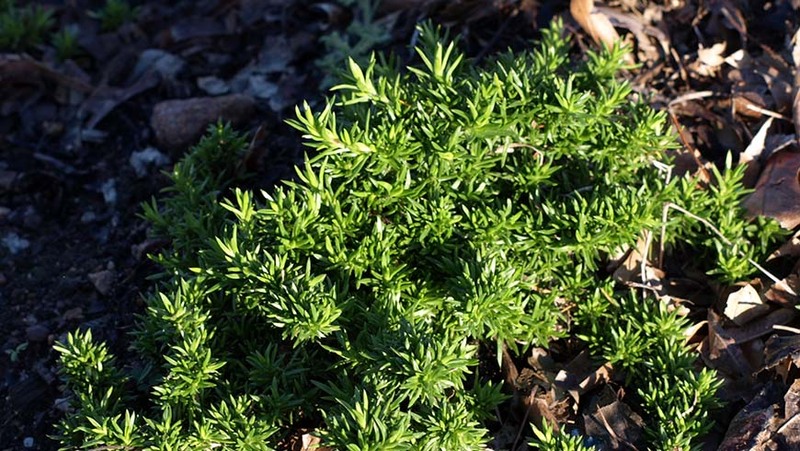 Low maintenance; tight compact mound of green needle-like foliage; great flower power; bloomed December to January; flowers are soft blue with a dark blue center. 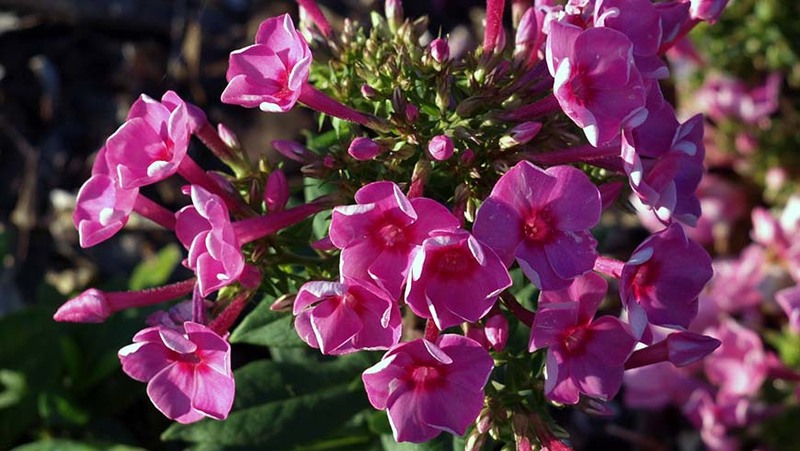 Low maintenance; tight compact mound of green needle-like foliage; great flower power; flower color is a deep pink; bloomed July through late January. 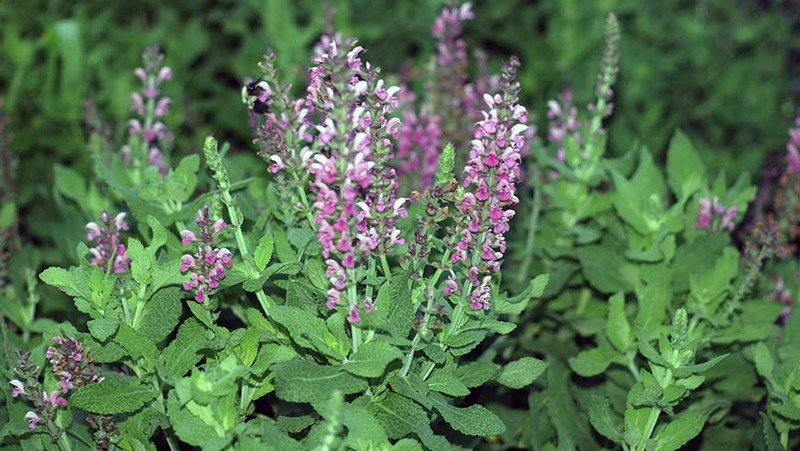 Low maintenance; tight compact mound of green needle-like foliage; flowers are light purple center; great flower power; bloomed June to September. 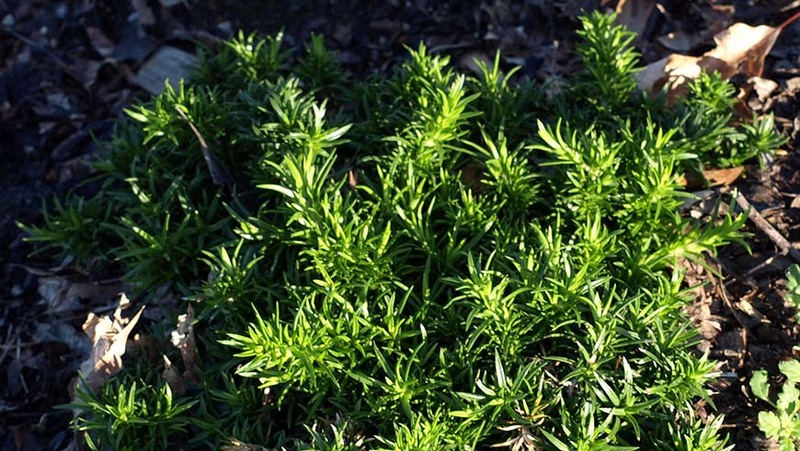 Low maintenance; tight compact clumps of green; has not flowered. 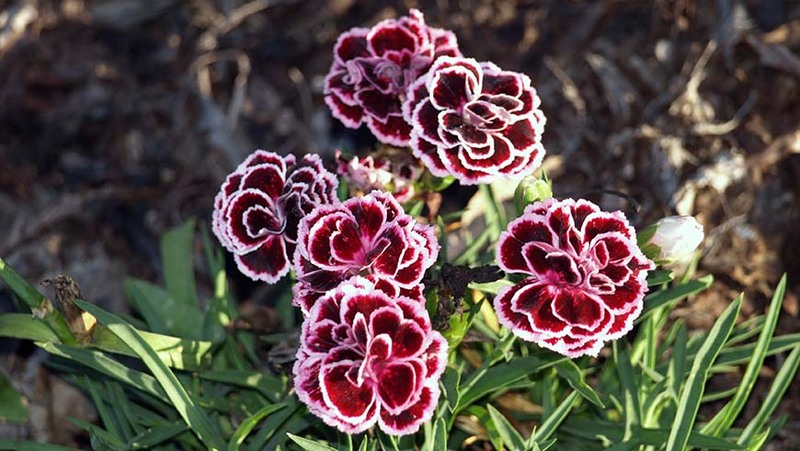 Low maintenance; tight compact clumps of green; great flower power; bloomed November to January; flowers are purple. 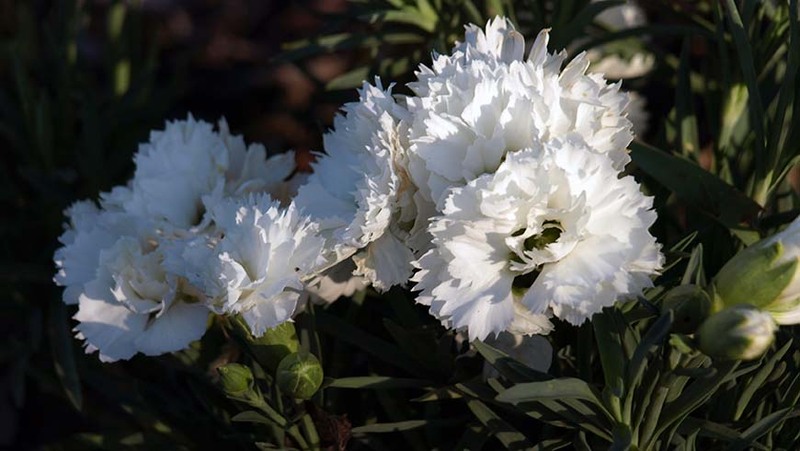 Low maintenance; tight compact clumps of green; great flower power; flower color is pure white; bloomed August to September. 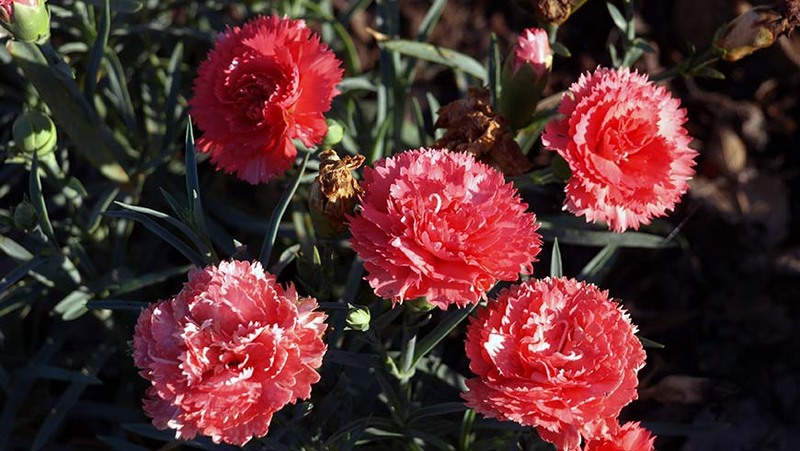 Low maintenance; tight compact clumps of green; great flower power; bloomed June to September; flowers are light pink with a dark pink center. 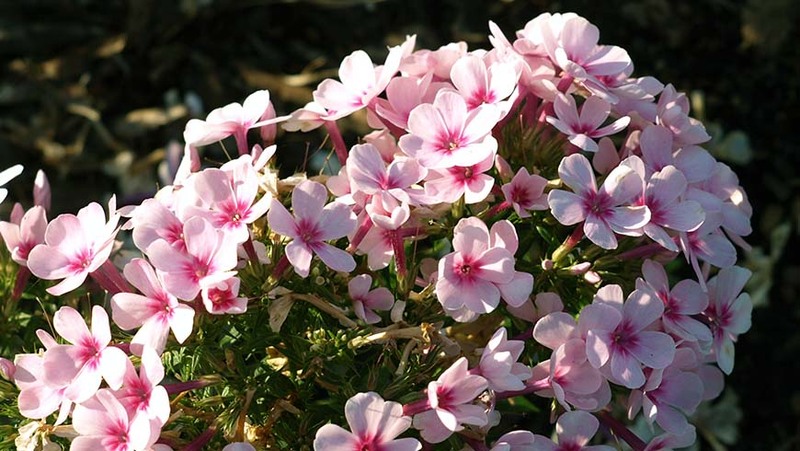 Low maintenance; tight compact clumps of green; great flower power; bloomed June to late October; flowers are purple with a white center. 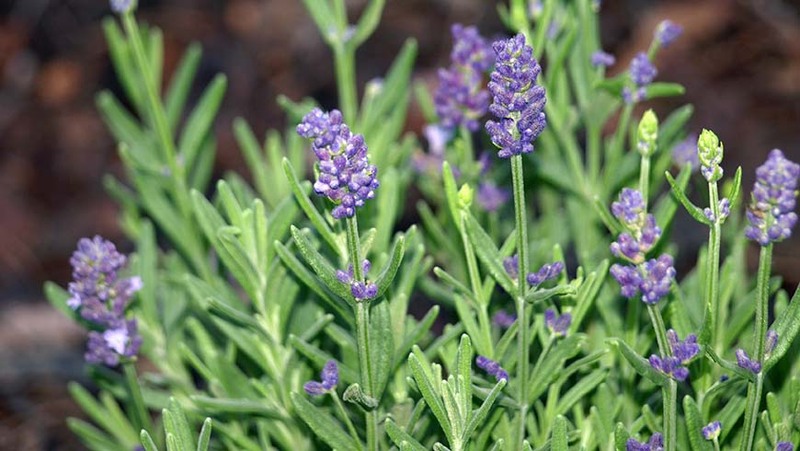 Short, well branched plants; prolific bloomer; flowers are a dark blue color; bloomed from June to September. 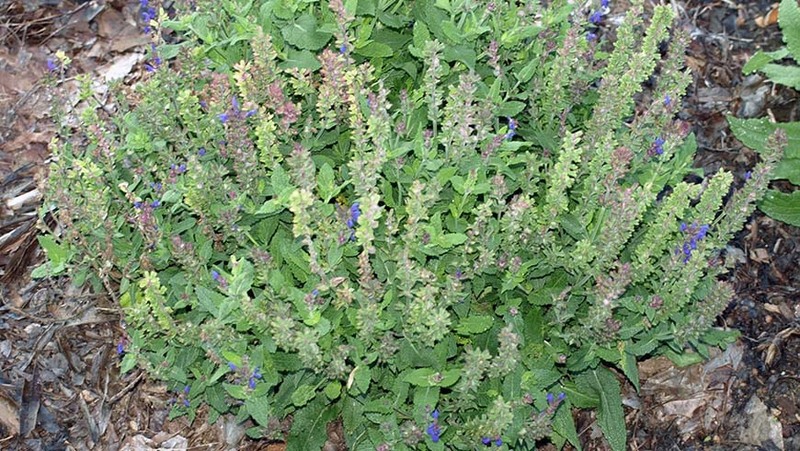 Compact, well branched plants; attractive spikes of blue/light purple flowers; bloomed from June to September. Died winter 2016. 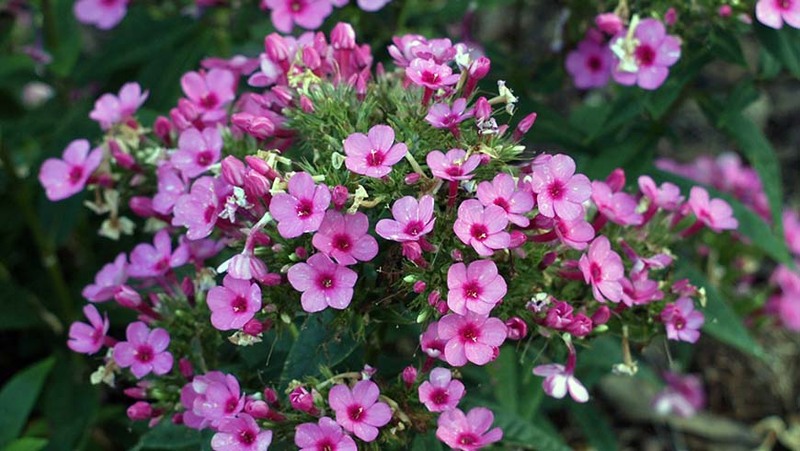 Compact, well branched plants; attractive spikes of pink/light purple flowers; bloomed from June to September. 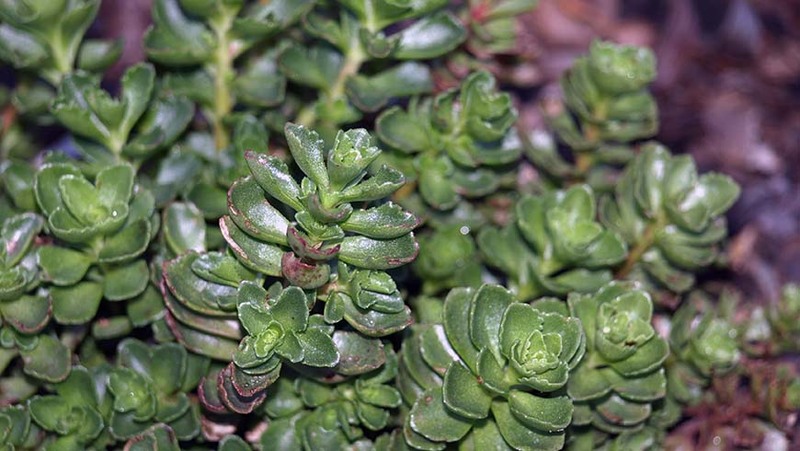 Ground cover that tightly hugs the ground; green fleshy leaves turn a beautiful crimson red in the winter; no flowers. 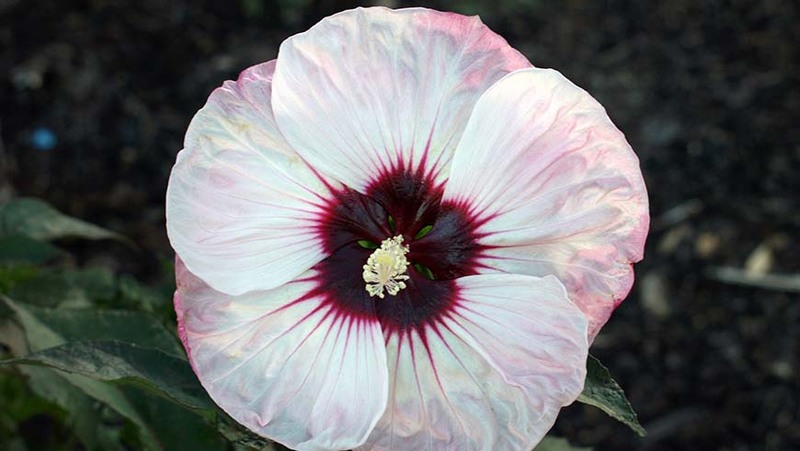 Very compact, well branched plants; flowers are a deep rose/red color; flowered from September to November.